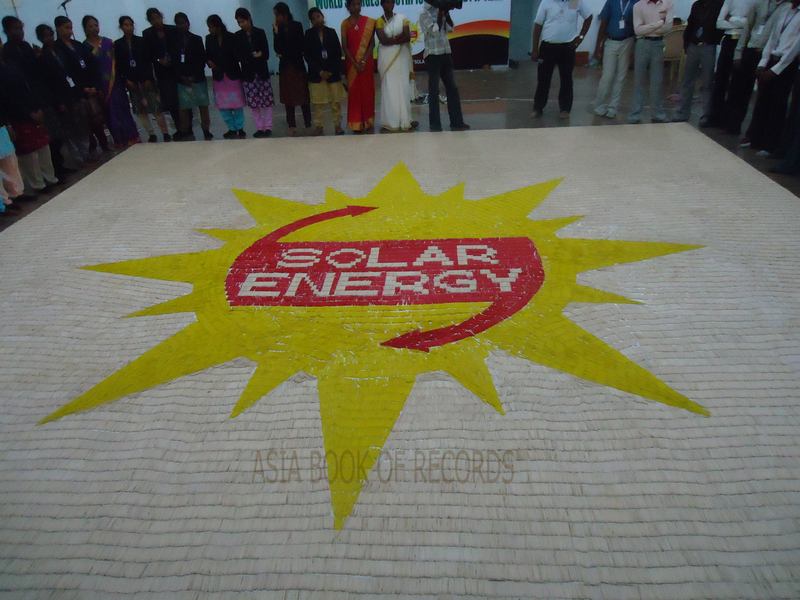 The largest toothpick mosaic, measuring 49 sq. meters, was created by 250 students of ARJ Institute of Management Studies (India) on March 9, 2012, at their college premises. It was completed in 11 hours 30 minutes, using 4, 26,000 toothpicks. 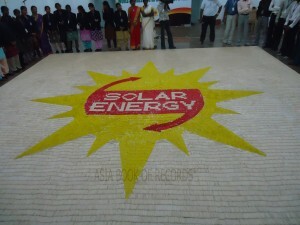 The mosaic had a logo to indicate the awareness towards adopting solar energy. 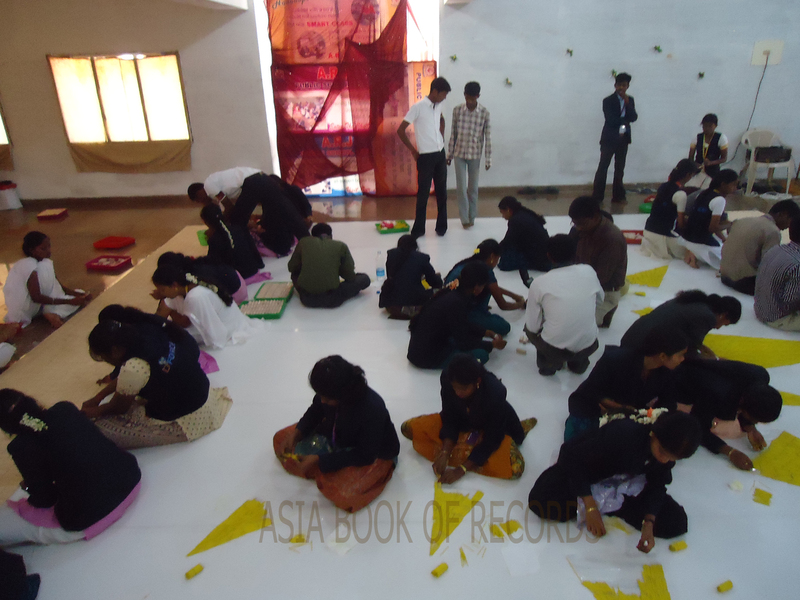 Comments for LARGEST TOOTHPICK MOSAIC (TEAM) are now closed.